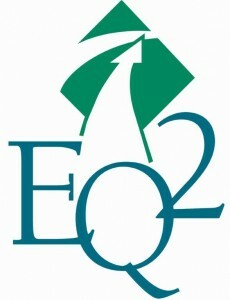 See our EQ2 HEMS videos below, each focused on a variety of topics. Note: if you are looking for the archived recording of the joint webinar demonstration by EQ2 and oneSOURCE Document Management Service, see the webinar page. EQ2 Product Manager Rich Sable talked with TechNation Magazine live at the AAMI 2018 annual event, discussing EQ2’s silver anniversary, specifics of CMMS for healthcare, new product announcements, and the difference of using HEMS for large and small hospitals. Overview of the HEMS CMMS software by EQ2. HEMS is the “Hospital Equipment Management System” and is designed specifically to meet ever-changing management and maintenance challenges such as AEM and other timely compliance needs. EQ2 celebrates 25 years dedicated entirely to healthcare complete with customer testimonials, magazine articles, and an overview of the HEMS CMMS software. In the video below from MD Expo Orlando 2017, EQ2’s new Product Manager Rich Sable talks MedWrench, what he does for EQ2, his love of music, and advice for those going into Healthcare Technology Management. He later talked with them more extensively in the Q and A blog post MedWrench Guru of the Month – Rich Sable when he was designated with that honor for November 2017.